There’s no time to waste! I must grab your attention by the fins before you swim in another direction. No doubt, after reading a line or two, you’ll flash your shiny golden scales and dive into your fish cave for nine more seconds and do something else. But hang on a minute. You are not a goldfish. Come to think of it, even goldfish as we recognize them aren’t goldfish. Apparently, there’s no genuine evidence our bubble-blowing, fan-finned friends can only focus for nine seconds. Nor is there satisfactory evidence to verify we humans only concentrate for, wait for it, eight seconds. How did the attention span fable evolve? According to Simon Maybin, reporting for the BBC, the theory we are useless at concentrating derives from the website Statistic Brain. Maybin contacted their cited references, “the National Center for Biotechnology Information at the US National Library of Medicine, and the Associated Press,” only to detect no record of a study to back up the statistics offered exist. Upon further investigation, Maybin couldn’t bring to light any proof to support the concept humans can’t focus as long as goldfish. Media myths are an issue. They hoodwink us into thinking there’s something intrinsically wrong with us. But why would anyone perpetuate a concept without proof it was accurate? Evidence is easy to draw from the Internet. With a few clicks, you can locate data to back up your expectations. What’s more you can cite authorities to ‘demonstrate’ you aren’t spreading misinformation when you publish your findings. The legitimacy of your sources, nevertheless, might be arguable. Yet, you’re not to know. How could you? How can you know whether what you read online is genuine or erroneous? The attention span myth spread because it was sensational. All it takes is one reputable website’s report mentioning vague stats to generate a deluge of copycat articles. Each writer quotes another, and soon everyone imagines ideas are facts. How does the attention span myth affect you? For a start, it has a monumental impact on the advertising targeted at you. Marketers assume they need to hook you like a fish the instant you see their website or view their advert on TV. As a result, they bombard you with fast, provocative imagery, and each marketing campaign attempts to outmaneuver another. Thus, you must contend with flashing images, and other onslaughts aimed at capturing your attention lest you fall asleep or play with your shoelaces. Movies, adverts, columns, and all media is expected to disturb you, raise your eyebrows, or elicit another severe emotional response to stop you gazing out the window and neglecting what you were doing. If you’re a marketer, you’ve been misled. Even if you assume the myth is a myth, you’re stuck. How can you compete with all the other campaigns struggling to grasp audiences by the neck and wrestle them to the ground without entering the arena? The current goldfish, nine second, myth-pushers would have you accept, if you were an orange fishy friend, you couldn’t accomplish much. Your lack of attention would mean you would seldom leave the house. You’d pick up your work bag, put on your coat, walk to the door, and forget you were going out. Remember, though, as a human, you’ve only been granted eight seconds. One less than a goldfish. So, when I suggest you’d reach the front door, I’m giving you that added second goldfish have over you. It’s extraordinary, in fact how goldfish haven’t achieved more compared to humans seeing as they have a one-second advantage. Now back to you as a fish. With just nine seconds to work with, you’d have to use time judiciously. To make sure you completed tasks, like watching an entire movie or ironing your pants (both sides) you’d need an alarm. It would holler at you after your nine seconds of lucidity were up, jolting your idle mind to return to your preferred project. Cooking would be challenging. Most of your meals would burn. Hardily any babies would be made, either, since nine seconds, although annoyingly common according to my friend Suzy, probably isn’t long enough to finish the job. You couldn’t do much if the goldfish lie was legitimate (and you were one of them). 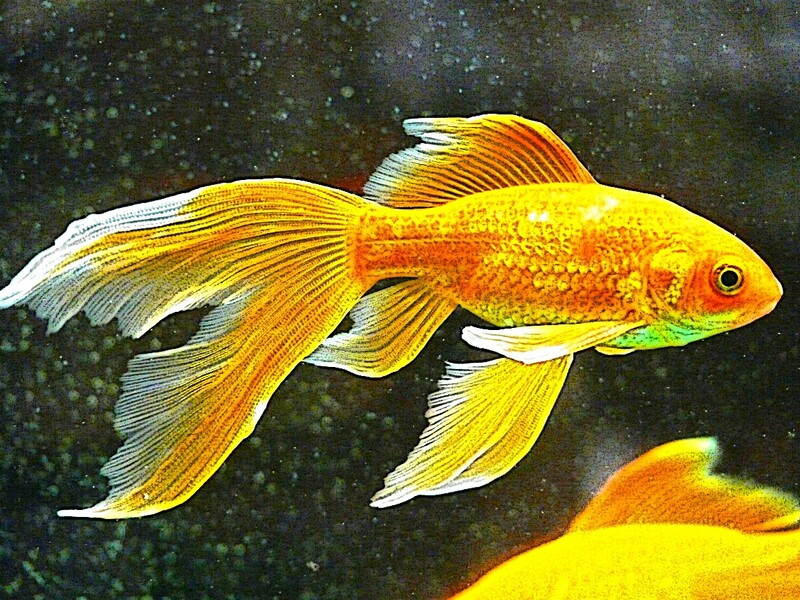 Even goldfish lead more complex lives than erroneous reports indicate they are capable of, and if this is so, how could the human eight-second idea be true? I write about wellbeing and emotional intelligence, laced with personal insights, poetry, and anecdotes.